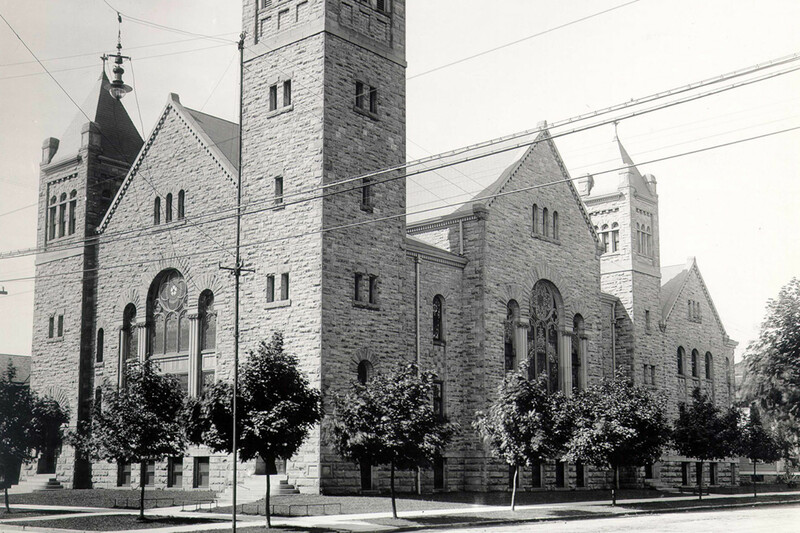 The church building at 503 Columbus Avenue was dedicated on Sunday, November 12, 1899. The architect and builder of Zion Lutheran was George Feick with construction commencing in 1898. The church was built from limestone in the Victorian Romanesque style with beautiful stained glass windows. The Rev. J. George Lehrer was the minister at the time of dedication followed by Rev. Theodore J.C. Stellhorn and later his son Rev. Theodore J.C. Stellhorn Jr. Many early German immigrants worshipped at this church whose congregation formed in 1847. There was a German language service held every Sunday well into the 20th century. Zion Lutheran also served as a mother church for several Lutheran churches in the area including Resurrection Lutheran Church in Perkins Township.